Online marketer Vincent Ng known specifically for his expertise in optimizing for Pinterest, wrote an interesting blog post pondering if pins that are uploaded (as opposed to pinned from a website) get less reach. If this were the case, it would certainly be worth noting, as it could have a major impact on your Pinterest marketing efforts. He pointed to a presentation that Pinterest’s Malorie Luchich gave at BlogHer in which she ran down ten Pinterest tips. These included “Don’t use upload photos” and “Pin professional quality images from your site”. I don’t think it’s a coincidence that these two points were made one after the other. When you upload a photo onto Pinterest and then change the redirection of the pin to a specific url then Pinterest can’t verify that the image actually comes from the website itself. 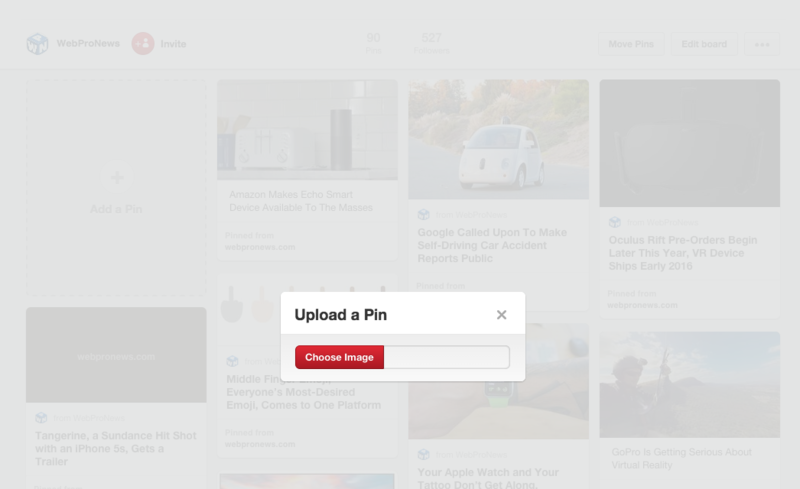 However, when someone does pin an image directly from your site, Pinterest’s backend can pick that up and recognize that this is the real deal and that the image does come directly from your site. He went a step further by doing some testing of his own. You can read his post for the methodology, but ultimately, he found that images uploaded received half as many repins as those that were pinned from websites. The presentation was referring to photos that are uploaded without a source, and not bloggers and website owners who upload high quality images and then add a source. The key is to ensure that Pins always link back to more information (a source), for the best Pinner experience. If images are uploaded, be sure to write a detailed description and add the source so the Pin links back to your website, and you’ll be good to go. More info on our business site and in this creative guide. Pinterest is a bookmarking tool, and not a photo sharing site. People use Pinterest to get inspiration, and if the image doesn’t link to more information on how to bring a Pin to life and take action on it (such as ingredients and recipe for a dish, where to buy a product, how to get to a place), the Pin is useless. To ensure Pins have extra information, a website owner should implement Rich Pins so rich data appears right on the Pin. The more information on a Pin, the more useful it is to the Pinner, and the more likely it is to be clicked, saved and rediscovered through the system through channels like search, recommendations and home feed. Brands and bloggers should continue to create original content for Pinterest and upload images that differ from their website images, if it’s working for them (again, as long as they’re always adding the source link). The image on the Pin can act like a window to draw people to the site to see more (and result in increased referral traffic). And increased referral traffic is indeed the key.